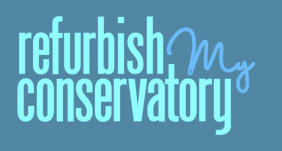 why refurbish a conservatory? Research has shown that many older conservatories often look tired and are not used for their original intention. Put simply, homeowners no longer have the same sense of pride in these dated, glazed extensions. Some of these older installations leak, are draughty and just look unsightly. Missing end caps, broken guttering and poor seals are fairly general problems on roofs, while conservatories glazed in polycarbonate will look steamed up, dirty and may even contain dead insects. Other areas of plastic may have discoloured from the sun, while timber roofs may show signs of rotting away. All these issues also contribute to significant heat loss. It’s also re-assuring to know that the next generation products have been designed to last far longer than the first generation original ones. And if you have any other projects in mind just ask!